Welcome to today’s blog! Today we will be digging deeper into non-recourse commercial real estate loans to further understand what a non-recourse loan is opposed to a recourse loan, answer a common question by new investors, “Are commercial real estate loans non-recourse?,” and discuss the characteristics of non-recourse commercial real estate loans. First, let’s dive into what non-recourse loans are. Non-recourse commercial real estate loans are a type of loan in which a lender can only seize collateral — typically the property in which the loan was taken out for; and cannot go after the borrower for further requital. Unlike a recourse loan, where the lender can seek further compensation if the collateral doesn’t cover the full defaulted loan value, such as, garnishing their wages, savings accounts, or other properties and assets. Now that we’ve covered what a non-recourse loan is, and the difference between non-recourse and recourse commercial real estate loans, let’s jump into a common question asked by new investors. Are commercial real estate loans non-recourse? When obtaining a commercial real estate loan, it is possible to acquire either a non-recourse or recourse loan, depending on your lender and other factors influencing the deal. While it may seem obvious that as a borrower it would be best to obtain a non-recourse loan and as a lender it would be best to grant a recourse loan, there are instances in which a non-recourse loan is not the best loan type for borrowers and recourse loans are not the best strategy for lenders. For this reason, let’s dive into the characteristics of non-recourse loans to learn more about the advantages and limitations a non-recourse loan has for both borrowers and lenders. Due to the fact that non-recourse loans are more risky for lenders, non-recourse loans can have stricter underwriting criteria, which makes it more difficult for borrowers to get approved for commercial real estate loans. In general, non-recourse loans are less flexible in terms of loan structure and pricing because they are often securitized into bonds by lenders. Non-recourse loans typically have longer loan terms than recourse loans, which is great if you are planning on holding the property for the length of the loan, but not ideal if you are planning on flipping the property quickly. Arguably the most common reason why people take out a non-recourse loan is to protect themselves against being held personally reliable if they were to ever default on their loan. However, it’s important to understand that, as with anything, there is always a way — meaning there is such thing as a “Bad Boy” carve out, where commercial real estate lenders can seize collateral to some degree if the borrower does something that is not allowed in the loan terms. At Abbey Mortgage & Investments, Inc., we pride ourselves in our timely loan transactions, flexible rates, and relationships we create with our borrowers, no matter what type of loan you are seeking. As mentioned above, non-recourse loans are not always the best option for individuals looking into commercial real estate loans. 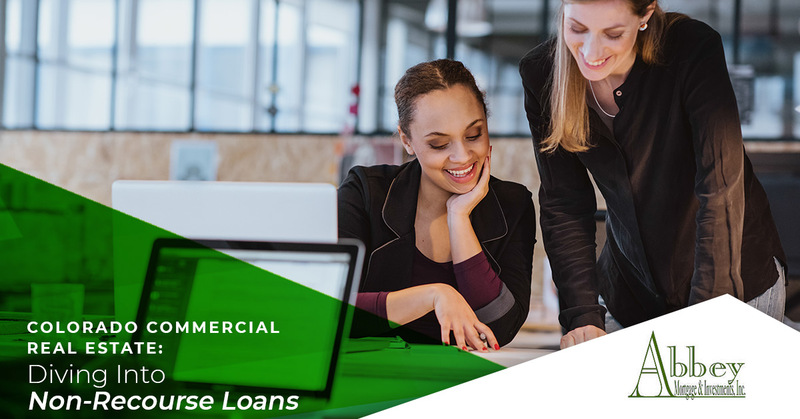 Contact us today to speak with a loan specialist to discuss what kind of commercial real estate loan best suits your needs. We look forward to helping you in your next endeavor and maximizing your investment.